Home > James Sayer > The most powerful GSuite App you are not using! As a Math teacher and working with learning technologies I am a total data geek and always looking for ways to harness the data we collect in schools. Having previously worked with Fusion Tables - an analysis app able to pull data in and geotag it and produce complex heatmaps very easily - I was excited to get going with Data Studio. Charts in Sheets have been super powered by the Explore AI to extend their functionality. But what if we could pull in data from multiple sources and compare and analyse it side by side? Thats where Data Studio comes in. 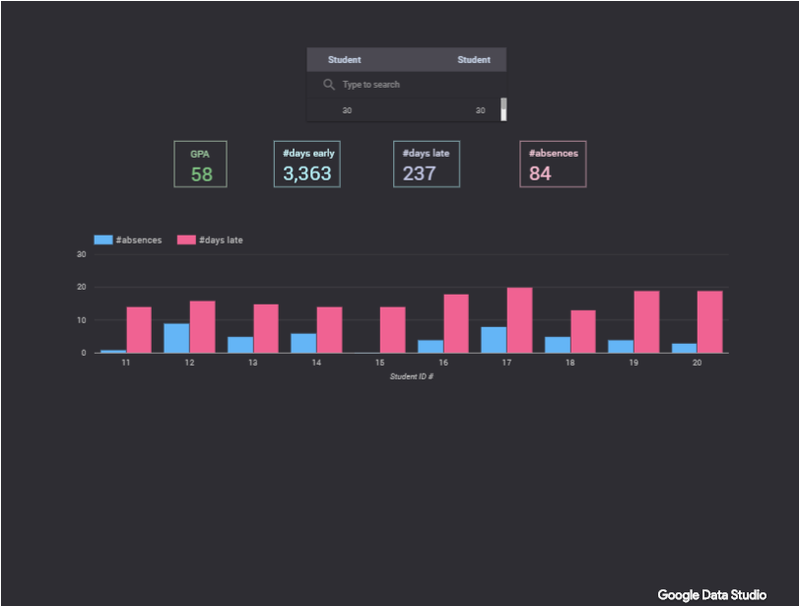 Launched in 2017, Data Studio has been designed with the internet marketer in mind (it has multiple connections to website data). However, with the Google Sheets connection, anything schools record in forms or sheets can now be pulled into Data Studio. But what exactly is Data Studio? Data Studio is a set of advanced numerical and visualisation tools to help comprehend large complex data sets….yikes! 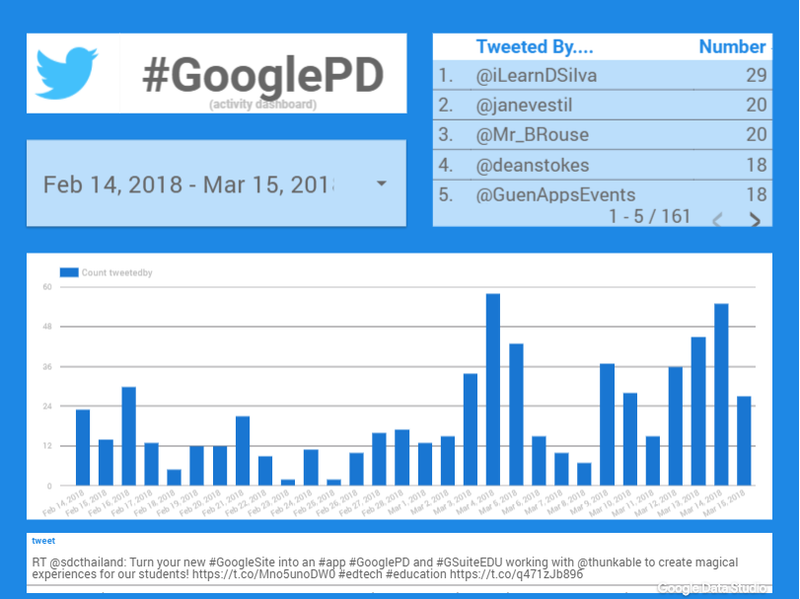 We can see here a clean, simple overview of tweets that dynamically updates based upon current activity and shows the latest tweet! For my school I have created dashboards comparing technology adoptions, behaviour patterns and learning indicators. Unlocking this data for other teachers to view, act and collaborate on. Of course a number of SIS allow this analysis, but GSuite and Data Studio are more powerful in that you can customise the indicators you are collecting and compare across any you choose. 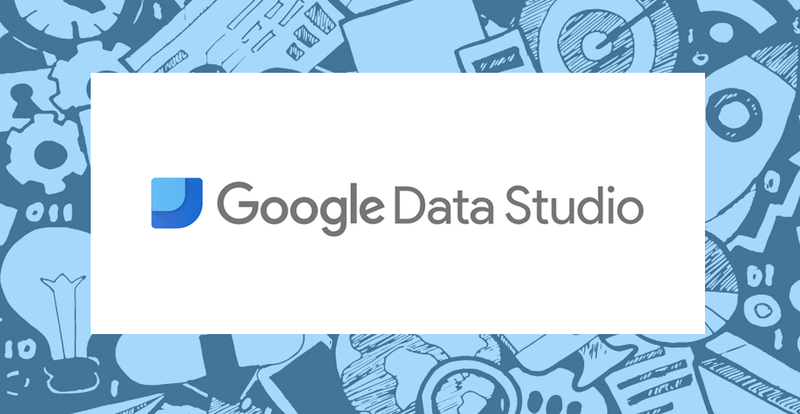 Head over to datastudio.google.com for the Data Studio homepage, and the first thing you should do is check out the ‘Getting Started’ tutorial on the homepage. This will walk you through the basic steps of creating a visualization. Secondly check out these video tutorials. Ok now you are ready to get started with your own dashboard. For demonstration purposes, the data is contained within three tabs of a Spreadsheet, however Data Studio can access multiple data sources from multiple Sheets files. 3. We now need to tell Data Studio where to look for data. Click the ‘Create New Data Source’ blue button. 7. Ok phew! We have our data in the report...time for a caffeine break! 8. Now we have our multiple data sources, we can present them and analyse them in multiple, flexible ways! 9. Firstly lets create a simple scorecard showing the student data. Locate the Scorecard button (box with 21 inside, on the toolbar), click it and then click anywhere on the report. This scorecard is going to show GPA. On the right hand side options, you must choose the correct data source (GPA sheet) and then change the Metric to GPA. Repeat this for Scorecards for days early, days late and absences. Total 4 scorecards. Be careful to select the correct data source for each one in the options menu on the right hand side. 11. But wait, this is showing the sum of each across all students! Not what we need….so we need to include a filter in order that we can select one student at a time. 12. On the toolbar, choose the Filter Control ( ), change the ‘Dimension’ of this control to ‘Student’. 13. Finished! Click on the View button in the upper right corner of your screen and you will have something similar to my report below (although I played around with the colors and style). In closing, Data Studio can produce some really great visuals which can help educators unlock insights into the data we are collecting. There are many great SIS out there collecting data, but with the powerful customisation of Forms and Sheets, Data Studio gives educators the tools to begin analysing their own data in truly complex ways. This sample dashboard didn’t use any great visuals, but there are many charts that can display summary data and combined data sources.